MITZIE HUNTER is Ontario’s Minister of Advanced Education and Skills Development. In this role, she works to ensure everyone has access to the education and training needed to succeed in the new economy. She was first elected to the Ontario legislature in 2013 as the MPP for Scarborough-Guildwood. She previously served as Minister of Education and as Associate Minister of Finance, where she was responsible for the Ontario Retirement Pension Plan. Before entering politics, she was CEO of the CivicAction Alliance, where she championed unlocking the potential of the Greater Toronto Area by ensuring fair and inclusive access to employment and training. She and her family immigrated to Canada from Jamaica in 1975 and she grew up in Scarborough. She graduated with a BA from the University of Toronto Scarborough and completed an MBA from the Rotman School of Management at the University of Toronto. RICK HANSEN is a Canadian icon who has dedicated his life to creating a world that is accessible and inclusive for all. Best known as the “Man In Motion” for undertaking an epic two-year, 40,000 km journey around the world in his wheelchair, Rick is also a three-time world champion in wheelchair marathon, nine-time Pan Am gold medalist, and three-time Paralympic gold medalist. 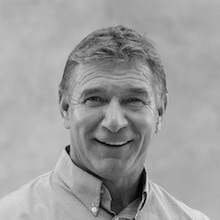 Now the Founder and CEO of the Rick Hansen Foundation, an organization committed to creating a world without barriers for people with disabilities, Rick and his team work hard to change attitudes, create accessible spaces and liberate the amazing potential of people with disabilities. Rick and his wife Amanda live in Steveston, B.C. and have three daughters, Rebecca, Alana and Emma. 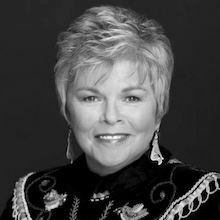 ROBERTA JAMIESON is president and CEO of Indspire, an Indigenous-led, non-profit agency that invests in the education of Indigenous people. She is a Mohawk woman from the Six Nations of the Grand River Territory and was the first woman to be elected its chief. She was the first Indigenous woman in Canada to earn a law degree. Previously, she has served as commissioner of the Indian Commission of Ontario and as Ontario’s first female Ombudsman. 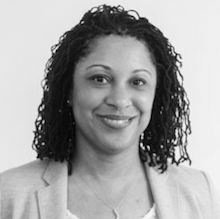 TONI MORGAN is an award-winning Canadian social entrepreneur and educator. In 2015, she captured the world's attention with her story of going from “From Homeless to Harvard” by raising $100,000 in 48 hours to enrol in Harvard University's Graduate School of Education. She has used her personal story to transform the lives of others through innovative education programming. Since 2003, she has launched and led numerous education and arts initiatives aimed at empowering marginalized, racialized and at-risk youth in Toronto. Currently, she is the founder of the Beat Academy, an ed-tech platform and incubator providing youth with employment opportunities. 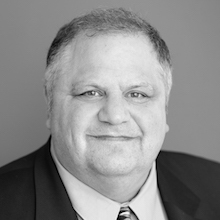 STEVE SILBERMAN is an award-winning science writer whose articles have appeared in Wired, the New Yorker, Nature and many other publications. 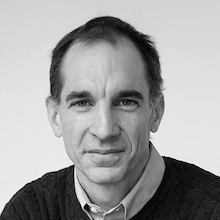 He is the author of the New York Times best-selling NeuroTribes: The Legacy of Autism and the Future of Neurodiversity, a compassionate and comprehensive history of the science and culture of autism. In an effort to shed light on the growing movement of “neurodiversity,” Steve explores the need for a more humane world in which people with learning differences and those who love them have access to the resources they need to live happier, healthier, and more secure and meaningful lives. TANYA ABERMAN the research and project co-ordinator at the FCJ Refugee Centre, where she focuses on intensive case management, access to education and community-based program development. She has a bachelor’s degree in Political Science from Concordia University, an MA from the University of Sussex in Gender and Development, and is currently a PhD candidate in Gender, Feminist and Women’s Studies at York University. 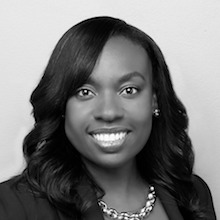 SOJI ADEWUMI is the chief program officer at the “I Have A Dream” Foundation, a US organization working to empower children from underserved communities to succeed in school, college and their careers. She oversees the foundation’s portfolio of initiatives aimed at increasing college access and success outcomes for students across the US. She holds a degree in engineering from the University of Pennsylvania and is a native New Yorker. 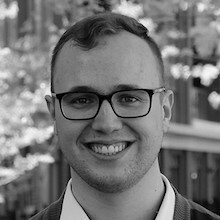 COLIN AITCHISON is a research and policy analyst at the Ontario Undergraduate Student Alliance (OUSA). His research with OUSA includes work on comprehensive access strategies for higher education, tuition and ancillary fees, and technology-enabled learning opportunities. Prior to joining OUSA, he served two terms on the executive of the Wilfrid Laurier Students’ Union. 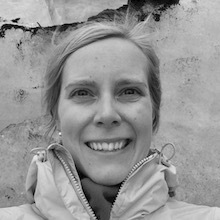 LIZA ARNASON is assistant dean of student life, community engagement and international experience at the University of Toronto Scarborough. She has an MA from the Ontario Institute for Studies in Education, and more than 25 years of experience developing educational and community programs that integrate the principles of access, equity and inclusion. Through strategic leadership, critical pedagogical framework, collaborative partnerships and mentorship, she has been instrumental in building capacity and success in students and communities. KAREN BARNES has been the president of Yukon College in Whitehorse since 2011. Much of her career has been devoted to issues of access and retention for marginalized communities. She currently works with other college presidents in Canada to raise the profile of colleges serving rural and remote communities. She holds a BA and a professional after degree in education from the University of British Columbia, and a MEd (adult education) and a doctorate in education (policy studies) from the University of Alberta. JORDAN BIGHORN was born in Seattle, Washington and is of Lakota heritage, hailing from the Fort Peck Assiniboine Sioux and Yankton Sioux communities. Presently, Jordan serves as the program manager for the Pathways to Education program at CEDA in Winnipeg. 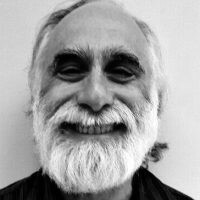 He is an active member of the Winnipeg Bahá’í community. Jordan is an avid volleyball player and recently coached a Manitoba team at the North American Indigenous Games. MICHAEL BOURDUKOFSKY is the chief operations officer for the Alaska Native Science and Engineering Program (ANSEP) at the University of Alaska Anchorage (UAA). 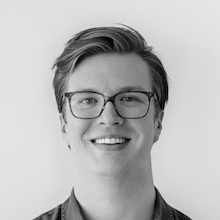 He oversees all programmatic outreach efforts from middle school through university. He holds a BS degree in civil engineering from UAA and completed the Harvard Business School’s Program for Leadership Development. He has been involved in ANSEP since 1999 — initially as a student — and employed with ANSEP since 2007. 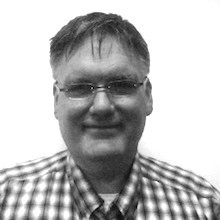 ALAN BOURKE is a professor in the Department of Liberal Studies at Mohawk College where he teaches a variety of courses in the social sciences and humanities. 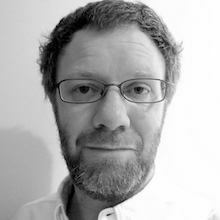 He has an MA in sociology from the National University of Ireland and a PhD in sociology from York University. He has published work in international academic journals and with a Canadian press in the areas of community engagement, higher education and social inequality. 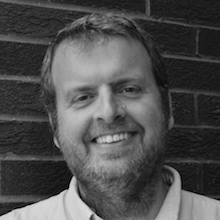 Alan is lead researcher on the SSHRC (Community College Social Innovation Fund) funded project, The City School Partnership: A Community-Built Response to Improving Access to Education. 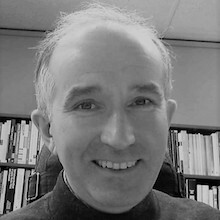 ROBERT S. BROWN is a research coordinator at the Toronto District School Board and an adjunct professor at York University (education/critical disability studies). His areas of study include the time structures of schools including absenteeism, secondary achievement, special education needs, postsecondary student pathways, longitudinal tracking studies, and socioeconomic and demographic patterns. 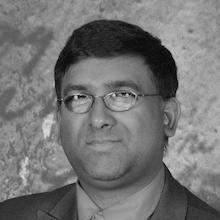 KEN CHATOOR works at HEQCO on research projects in the areas of equity of access and social mobility. Ken holds an MSc from McGill University, where he conducted research to develop new therapies for brain cancer. He previously participated in research on quality of life for individuals with complex disabilities. He received his BSc from the University of Toronto in life sciences, focusing on biology and geography. 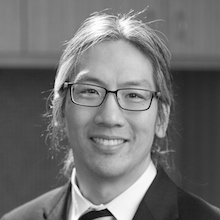 TOM CHAU is vice president of research at Holland Bloorview Kids Rehabilitation Hospital, and a professor at the University of Toronto. His research aims primarily to uncover and instrumentally translate the physiological and behavioral manifestations of communicative intent in children and youth with severe physical impairments. He has published over 190 journal articles relating to rehabilitation engineering. 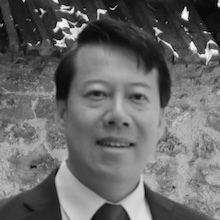 WEN-HAO CHEN is a senior economist at Statistics Canada. 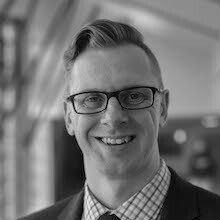 His research focuses on intergenerational mobility, inequality, well-being and labour market issues including immigration, the children of immigrants and nonstandard employment. 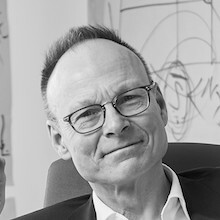 He previously worked as an economist at the OECD (2009–2014). He holds a PhD in economics from Michigan State University. 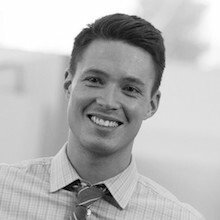 LUKE CONNELL is executive director of The Omega Foundation’s SmartSAVER program, which seeks to strengthen the ability of lower-income Canadian families to save for their children’s postsecondary education using Registered Education Savings Plans and the Canada Learning Bond. He studied international development at St. Mary’s University and previously worked at Right To Play. 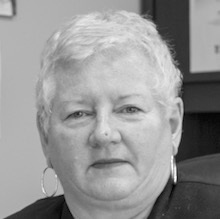 TERRY COOKE is president and CEO of the Hamilton Community Foundation. In this role, he has been instrumental in mobilizing the community to address increasing access to postsecondary education, strengthening neighbourhoods and reducing poverty. He has leadership experience in the private, public and non-profit sectors. 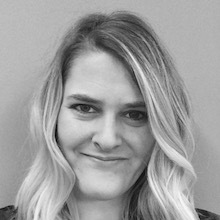 Panel Manager and Research Associate, Academica Group Inc.
RACHEL DENGATE is panel manager and research associate at Academica Group, a Canadian research and consulting firm focused on postsecondary education. In this role, she manages Academica’s research panels and conducts online surveys with postsecondary students from across the country. She also writes for the daily Academica Top Ten and the biweekly Indigenous Top Ten. 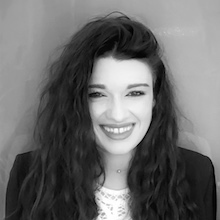 SOPHIE DUCHAINE has been a research officer in the research and studies centre of the Université du Québec since 2008. She holds a master’s degree in regional development. Since 2013, she has coordinated a project that explores access to and persistence in education by first-generation students. JIM DUNN is professor and chair of the department of health, aging and society at McMaster University and a scientist at the Centre for Urban Health Solutions at St. Michael’s Hospital in Toronto. 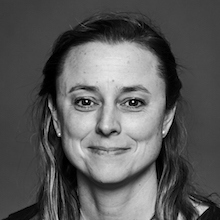 Dr. Dunn’s current research program focuses on the social determinants of health and the influence of economic and social policies, especially urban policies, on inequalities in health and child development, concentrating on urban housing and neighbourhoods. He is also the recipient of numerous awards for teaching and research. 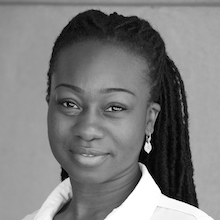 Chief Executive Officer, Visions of Science Network for Learning Inc.
EUGENIA DUODU holds a PhD in chemistry from the University of Toronto and is the CEO of Visions of Science Network for Learning. 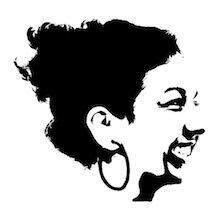 She leads a team of passionate and talented colleagues whose focus is to provide consistent and engaging STEM opportunities for low-income and marginalized youth who are traditionally underrepresented in these fields. WILLIAM ELLIOTT III is a professor at the University of Michigan’s School of Social Work. He is the founding director of the Center on Assets, Education, and Inclusion (AEDI), and a leading researcher in the fields of children's savings, student debt, and wealth inequality. ROSS FINNIE is a professor at the University of Ottawa in the Graduate School of Public and International Affairs. Prior to that he held positions at Laval, Carleton and Queen's Universities. He is also the director of the Education Policy Research Initiative, as well as a research fellow at the C.D. Howe Institute and the European IZA Institute of Labour Economics. His work has covered numerous aspects of postsecondary education and the student experience. REUBEN FORD is a research director at the Social Research and Demonstration Corporation (SRDC), a non-profit research organization created in 1991 to develop, field test and rigorously evaluate new programs. Since 2003, he has directed the SRDC team investigating approaches to increasing access to postsecondary education across Canada (including Life After High School, Future to Discover and BC AVID) as well as analyses of student financial aid. He holds a PhD in geography from University College London. 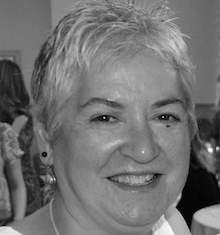 GAIL FORSYTH is director of teaching, learning and retention at Wilfrid Laurier University. She is also the founding director of the Centre for Student Success at the university, where she oversees learning and retention strategies. She is passionate about engaging in initiatives that transform the lives of students who experience social or economic barriers. 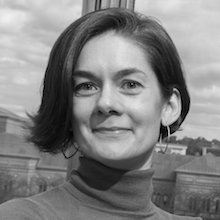 She is a successful grant writer and understands the importance of evaluating programs. 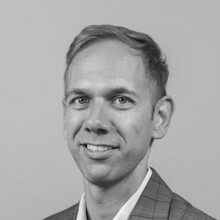 MARC FRENETTE is a researcher at Statistics Canada, specializing in using survey, administrative and linked-data sources to highlight and explain trends in postsecondary access, returns to schooling, postsecondary savings and occupational skills of graduates, among others. He also spent two years at the Social Research and Demonstration Corporation, working on two randomized field experiments (Future to Discover and BC Avid). He holds a PhD in economics from the University of Nottingham (UK). TIM FRICKER is dean of students at Mohawk College where he is responsible for a variety of programs aimed at improving the overall student experience, fostering student learning and success, and promoting a healthy campus community. He is a PhD student at the University of Toronto’s Ontario Institute for Studies in Education and is co-leading a number of HEQCO-supported research projects about student success interventions. 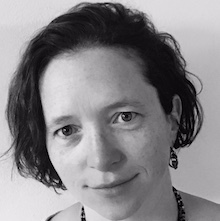 CHELSEA GABEL is an assistant professor in the Department of Health, Aging and Society and the Indigenous Studies Program at McMaster University. She holds a Canada Research Chair in Indigenous Well-Being, Community Engagement and Innovation. Dr. Gabel is the primary investigator on a newly launched Indigenous Mentorship Network Program for Ontario and serves as the co-chair of the Indigenous Education Council at McMaster University. Chelsea is Métis from Manitoba. 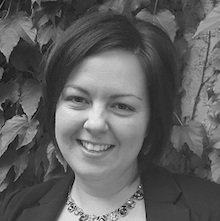 KELLY GALLAGHER-MACKAY is a professor in the law and society program at Wilfrid Laurier University. 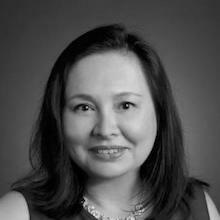 A lawyer with a PhD in educational theory and policy, she is the former research director at People for Education and a co-founder and northern director of Akitsiraq Law School in Iqaluit, NU. In 2017, Kelly published two books on K–12 schooling: Pushing the Limits (Doubleday) and Succeeding Together (UTP). LESLIE GLOOR DUNCAN is the associate director of transition, leadership and enrichment at Western University. She holds an BA (Hons) from Western, and an MEd in educational leadership from the University of Calgary. Leslie has a deep commitment to learning and connecting youth to their passions. 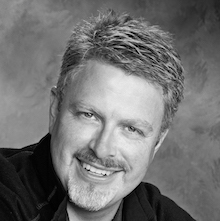 RAY GOSSELIN is the principal architect at Ray Gosselin Architect Ltd., a Regina-based architectural firm specializing in healthy planning and design. He received his Master of Architecture from the Technical University of Nova Scotia. This year he will join a group of Indigenous architects from Canada and the US to take part in an exhibit at the 2018 Venice Biennale of Architecture entitled UNCEDED: Voices of the Land, a celebration of Indigenous architecture. MAIR GREENFIELD is the Indigenous Education Lead at the Rumie Initiative. She works with Indigenous communities and partners to support community voiced projects by pinpointing and collecting resources that are already found on the Internet. Mair works on projects relating to language preservation, culturally relevant teaching resources, self-care, reconciliation and curriculum support for learners and teachers. Mair is a member of Kebaowek First Nation. 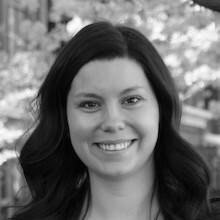 SOPHIE HELPARD is the executive director of the Ontario Undergraduate Student Alliance. She has worked in student advocacy for several years, first as president of the Western University Students' Council and then as the executive director of Students Nova Scotia before taking on her current role. 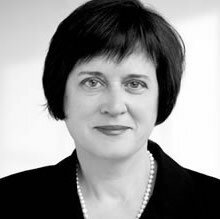 ANGELA HILDYARD is the former vice-president of human resources and equity at the University of Toronto and currently serves as special adviser to the president and provost. Deeply committed to issues of equity, diversity and inclusion within the university context for over 20 years, she is proud of the progress made by U of T in linking equity and diversity with excellence. 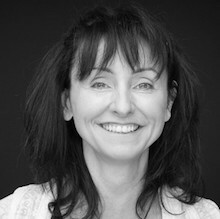 SUSAN HOPKINS is executive director of the MEHRIT Centre, a highly respected centre of teaching and learning. As a one-time at-risk youth who quit high school twice, she went on to complete four degrees. She has worked in almost every area of education from the early years to postsecondary, in areas ranging from Italy to the Northwest Territories. She is a passionate advocate for children, families, schools and communities. 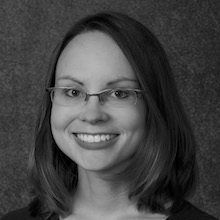 LAUREN JONES is an assistant professor of consumer sciences in the Department of Human Sciences at Ohio State University. She conducts quantitative, policy-based research on child and family well-being, especially in the areas of health and household economics. Her interests lie in understanding the factors that help children and families to flourish. 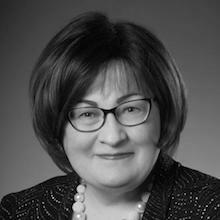 LINDA JONKER is senior economic adviser with the Labour Economics branch of the Ontario Ministry of Finance. She uses a data-driven approach to provide advice on a broad spectrum of policy issues including employment and unemployment, skill shortages, immigration, training and postsecondary education. Previously, she was the technical lead of data and statistics and a senior researcher at HEQCO. She holds an MA in economics from McMaster University and a BA in economics from the University of Waterloo. 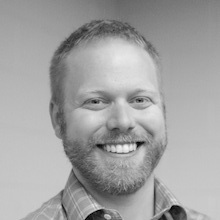 PATRICK KELLY is the associate director of residence life at the University of Guelph. He is responsible for the day-to-day aspects of living in residence and family housing at the university. This includes support and outreach, program initiatives, and components of safety and security. He sits on several university committees focusing on policy development and new initiatives for the institution. ANNIE KIDDER is the executive director and founder of People for Education, which is dedicated to the ideal of a publicly funded system that guarantees every student access to the education that meets his or her needs. People for Education promotes greater civic engagement in the public education system, conducts research into the effects of policy and funding changes on schools, coordinates a comprehensive communications strategy focused on education issues and brings an independent voice to government policy tables. KATHY KIMPTON is president and chief executive officer of Women Building Futures, an organization dedicated to helping women achieve economic prosperity through the skilled trades. Her passion lies in empowering all women to overcome educational and societal barriers to achieve their greatest potential by recognizing that a career in the trades should be a first-choice option. As a disruptive and thoughtful leader, she has inspired innovative solutions at Olds College, Lakehead University, University of Ontario Institute of Technology and Confederation College. 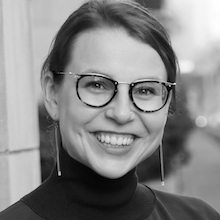 SOPHIE LANTHIER works with HEQCO's Centre for Equitable Access team to examine programs and strategies that help underrepresented groups access and succeed in postsecondary education. 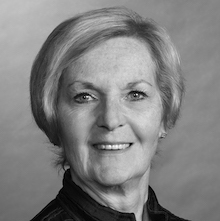 Through her prior work as an educator and researcher in the PSE sector, she supported the creation and evaluation of educational programs designed to improve student learning. 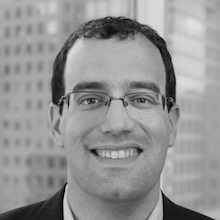 AARON LEMON-STRAUSS is executive director of college and career access at College Board where he leads their digital efforts to clear a path for students to college and career success. Through College Board resources such as Big Future and CollegeGo, as well as partnerships with groups such as Khan Academy and Roadtrip Nation, Aaron is responsible for helping students take the best next step in their journey to college and career. 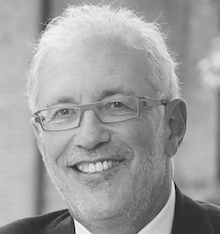 SHELDON LEVY is CEO of NEXT Canada, which helps promising young Canadian innovators start and scale their own ventures. 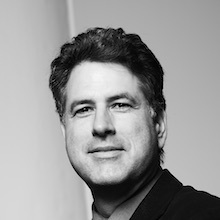 A longtime champion of innovation and a builder of startup ecosystems, Sheldon also serves on the advisory board of the Brookfield Institute for Innovation + Entrepreneurship and on the leadership council of ScaleUp Ventures Inc.
CARLANA LINDEMAN is an educator, education officer and former regional manager with Ontario’s Ministry of Education. She is currently the education program director for the Martin Family Initiative, where she leads projects to improve academic success for First Nations, Métis and Inuit students across Canada. 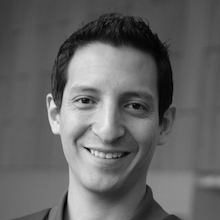 GABRIEL BRAN LOPEZ is the founder of Youth Fusion, an award-winning charity that works to lower drop-out rates and focuses on experiential learning. 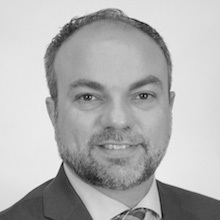 Gabriel is a director on the boards of Concordia University, the Bombardier Foundation and Québec-Cinema, and has been involved with government at the municipal, provincial and federal levels. Gabriel graduated from Concordia University in communication studies. 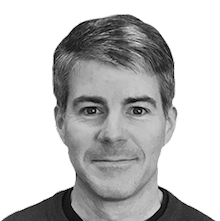 PAT LOUGHEED is co-founder of Plaid Consulting, which focuses on using data and visualization to help higher-education institutions move forward. Pat's 18 years of experience in higher education spans information technology and student services leadership roles; additionally, he holds a master’s of education in postsecondary leadership. 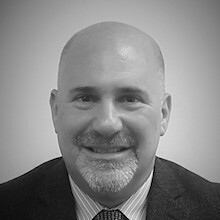 PHIL MAURIZI is the vice president of operations at Promise Indiana, a community-owned children’s savings account intervention. Before joining Promise Indiana, he worked for nearly a decade in higher education focusing on the retention and persistence of first-generation and at-risk college students. He holds an MBA from Taylor University. 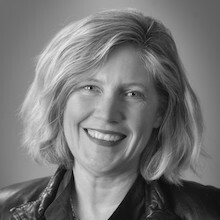 SARAH McCARTHY is the vice president of strategic initiatives at the Rick Hansen Foundation, where she is responsible for leading the Rick Hansen Foundation Accessibility Certification™ (RHFAC) program. She brings national and international experience to this role, having previously worked for an association management consulting firm where she served as executive director of several non-profit professional healthcare organizations. 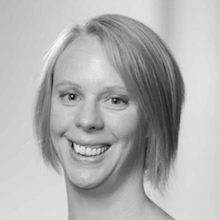 Sarah has an MSc in pharmacology and therapeutics and an MBA in strategic management from the University of British Columbia. 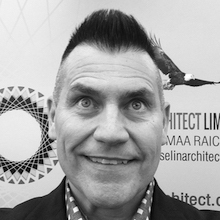 GARY McCLUSKIE is a principal with Diamond Schmitt Architects and a member of the Ontario Association of Architects. In over 30 years at Diamond Schmitt, he has developed an expertise in a wide range of building types. He worked closely with Laurentian University on the $63 million transformation of its Sudbury main campus, which included a new Indigenous Sharing and Learning Centre. He is a graduate of the School of Architecture at the University of Waterloo. 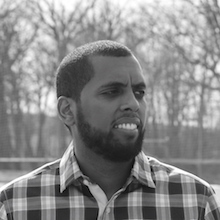 TESFAI MENGESHA is the executive director of operations at Success Beyond Limits (SBL), an organization that provides academic and social supports to youth in the Jane and Finch area of Toronto on their individual paths to success. He's passionate about working to address the opportunity gap within education. KAELA MILLAR is a recreation therapist and the multi-sensory environment technologist at Mohawk College (Fennell Campus). She has a passion for working with individuals of all ages and abilities, and is involved with the Recreation Therapy Program at Mohawk where she supervises first- and second-year students during their field placements. Kaela completed her bachelor’s degree with honours in child and youth studies at Brock University before going on to complete a two-year diploma program in therapeutic recreation at Mohawk. NOAH MORRIS is assistant deputy minister of the Advanced Education Learner Supports Division at the Ontario Ministry of Advanced Education and Skills Development (MAESD). Prior to this, Noah worked as a director for both the Ministry of Education and MAESD. 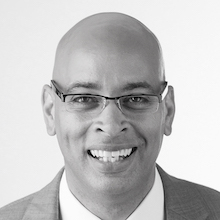 Noah has 25 years of experience in Ontario public service; he holds an undergraduate degree from McGill University, and graduate degrees from McGill and Queen’s University. MANDY MOSER began her career at the University of Lethbridge 16 years ago in the Office of Institutional Analysis and has since progressed to the position of manager of institutional analysis. 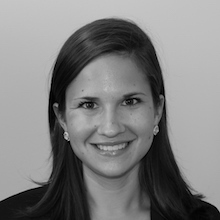 She is passionate about helping others find insight in their data to inform decision-making. Since 2011, she has led a project to utilize predictive modelling to inform strategic enrolment management initiatives. 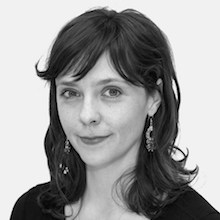 ANNE MOTTE brings her enthusiasm for data to her position as senior planning adviser at the Université de Montréal. 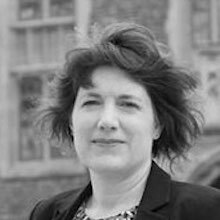 Her career, spanning over 15 years working on higher education and labour-market issues, is built around the central theme of understanding what works to improve policy outcomes and processes. YVETTE MUNRO is executive director of the Ontario Council on Articulation and Transfer. Prior to her ONCAT appointment in January 2018, she was director of academic partnerships and planning at York University. Her work in higher education began after more than a decade of work in the non-profit and government sectors. APRIL NAKAIMA is an evaluator at the Evaluation Centre for Complex Health Interventions at Toronto’s St. Michael’s Hospital. She has taught at York University, the University of California, Maryland State University and Northern Virginia Community College. She studied at the University of California (UC) Irvine, UC Santa Cruz and UC Davis. GREG ORENCSAK is the Deputy Minister of Advanced Education and Skills Development. In this capacity, he is responsible for programs that set policy direction and funding for universities and colleges, student financial assistance and employment training. Greg first joined the Ontario Public Service in 1999 on an internship as an economist at the Ministry of Finance. Since then, he has held progressively senior positions in the public service. In November 2010, he became Associate Deputy Minister of the Office of the Budget and Treasury Board in the Ministry of Finance, where he was responsible for the co-ordination of the delivery of the Ontario budget. He was appointed Deputy Minister of Government Services in April 2014 and later that year became the Deputy Minister of the Treasury Board Secretariat. Concurrently, he also served as Chair of the Public Service Commission, which ensures the effective management of human resources in the public service. Prior to his current role, Greg worked as a partner in Ernst & Young’s Canadian advisory practice, where he served as the firm’s National Leader for Public Policy and Fiscal Innovation. 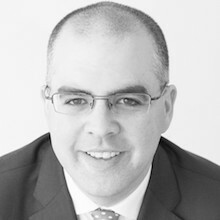 PHILIP OREOPOULOS is a professor of economics and public policy at the University of Toronto, a research associate of the National Bureau of Economic Research and a research fellow at the Canadian Institute for Advanced Research. His current work focuses on education policy, especially the application of behavioral economics to education and child development. He received his MA from the University of British Columbia and his PhD from the University of California at Berkeley. 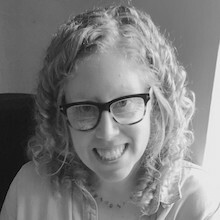 LINDSAY C. PAGE is an assistant professor at the University of Pittsburgh School of Education, and a research scientist at the Learning Research and Development Center. Much of her recent work involves the implementation of large-scale randomized trials to investigate innovative strategies for improving students’ transition to and progress through college. 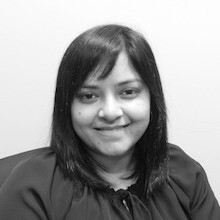 GILLIAN PAREKH is an assistant professor in the Faculty of Education at York University. 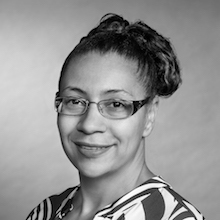 With a doctorate in critical disability studies, her research largely examines structural equity within school systems. In particular, her work explores how schools construct disability and organize students across programs. 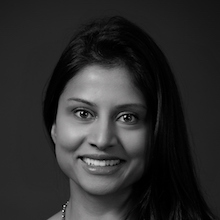 VARSHA PATEL has over ten years of academic leadership experience in postsecondary education. She is currently assistant dean of student success at the University of Toronto Scarborough. 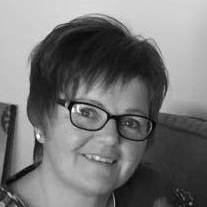 Her learning and development, social care and community development experience has provided her with an in-depth understanding of student needs. Her wealth of experience in program planning, development and evaluation has successfully contributed to the development and deployment of initiatives that meet strategic, academic and legislative priorities. 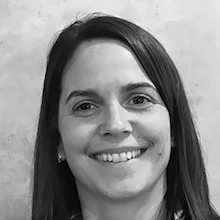 JENNIFER PEARSON is the project coordinator for Grad Track, Hamilton Community Foundation’s early intervention program that works with two groups of middle school students in Hamilton to facilitate their aspirations for, access to and achievement of postsecondary education. She holds a BS in health sciences and an MS in health policy and economics. 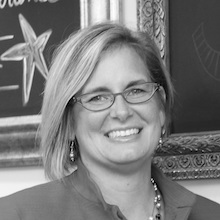 AUDREY J. PENNER is vice president academic and student success at Northern College. She has worked as a teacher, administrator, consultant, researcher and senior leader within the postsecondary environment. Dr. Penner has presented and published — nationally and internationally — on PSE trends and issues. She is a recipient of several professional awards including Alumni of Distinction, University of Manitoba (2004), as well as local, provincial and national recognition for her volunteer work. JULIE PETERS is vice president, research at Academica Group, a Canadian research and consulting firm focused on postsecondary education. At Academica, she oversees more than 70 research projects a year for postsecondary institutions, sector organizations and government agencies. WAYNE POIRIER is vice-president, Student and Alumni Services at Mohawk College. Dr. Poirier holds a PhD in higher education from the University of Toronto. His dissertation focuses on orientation, transition and student success in Ontario. Wayne has been a featured speaker from coast to coast, drawing on his expertise on the student experience. MARCIE PONTE is the executive director of Working Women Community Centre. Drawing on over 40 years of experience working in non-profit and labour organizations, her pioneering work in community development has had at its core the often invisible needs and untapped potential of immigrant women and girls in Toronto’s diverse communities. She has been a leader in the immigrant women’s movement advocating for multi-ethnic, multi-racial front-line organizations run by and for immigrant women. Marcie has won the City of Toronto Access, Equity & Human Rights Award, and a Queen’s Diamond Jubilee Medal. 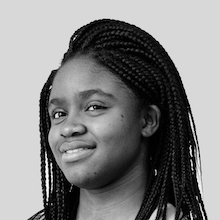 DEBORAH RAJI is a student in the engineering science program at the University of Toronto, specializing in robotics engineering. 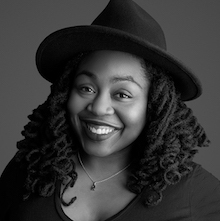 She is passionate about inclusion in tech and education and has launched several projects such as Speak Up, an online student advocacy platform, and Project Include, an outreach program aimed at increasing access to the tech industry, specifically for low-income students. She is currently on a Professional Experience Year internship as a machine learning engineering intern at Clarifai, a computer vision company in New York. SUJITHA RATNASINGHAM is the director of strategic partnerships at the Institute for Clinical Evaluative Sciences (ICES). Her focus is on building partnerships that support the acquisition of data to create opportunities for innovative scientific research that will contribute to improvements in healthcare planning and policy evaluation. Prior to her role at ICES, she worked at the Ministry of Health and Long-term Care, Toronto Public Health and the World Health Organization. 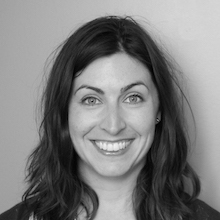 JENNIFER REDDY is associate director of leadership and community building programs at Simon Fraser University. It is her passion to find out how we can achieve more as global citizens by exploring innovations in education, adult learning and youth development. TINA REED leads Contact North | Contact Nord‘s province-wide strategies and services that facilitate local access to education opportunities via distance and online learning. 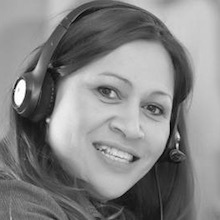 She works with Ontario’s public education and training providers to support local delivery of programming in small, rural, remote, Aboriginal and francophone communities through Contact North | Contact Nord’s 112 local online learning centres in communities across Ontario. 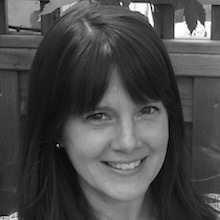 KAREN ROBSON is associate professor of Sociology and Ontario Research Chair in Academic Achievement and At-Risk Youth at McMaster University. She works with the Toronto District School Board to examine issues around the transition of high school students to postsecondary education in Ontario and leads a large research team that includes members in Chicago, New York, London and Vancouver. 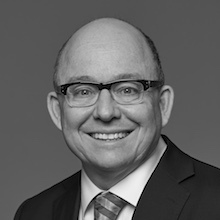 MACK ROGERS is executive director of ABC Life Literacy Canada. Mack works with a remarkable team of educators, programmers and communicators to develop and share literacy programs with communities across Canada. Mack has been developing educational programs for adults and children for over 15 years, the last seven of which were with ABC. 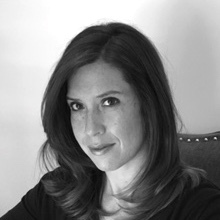 REBECCA RUFO-TEPPER has worked in education for over 17 years. 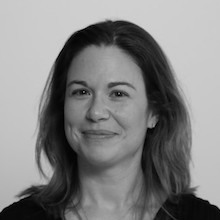 Currently she is the co-executive director of Institute of Play, an educational non-profit that supports design thinking, collaboration and problem solving through a unique learning model rooted in the principles of games and game design. 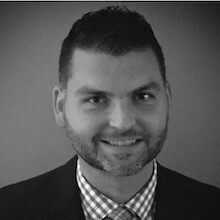 SEAN SIMPSON is vice president of Ipsos Public Affairs. 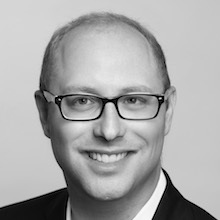 He leads its public-opinion polling business in Canada, specializing in political behaviour, reputation, social trends and higher-education research. 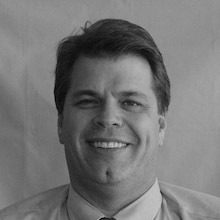 He is a media spokesperson for Ipsos and teaches courses on sampling and survey design. 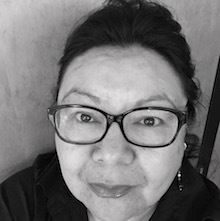 BRENDA SMALL is vice president at the Centre for Policy and Research in Indigenous Learning, at Confederation College in Thunder Bay, Ontario. 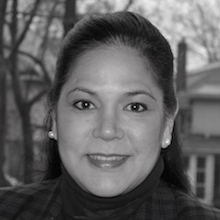 She has led many access, liberal arts and Indigenous education initiatives for 24 years. An experienced speaker and facilitator, Brenda has worked with Indigenous community partners and the college’s Indigenous education leaders at Negahneewin Council to advance the interests of Indigenous learners. She belongs to the northern Cree Nation in Quebec and grew up in northern Ontario. 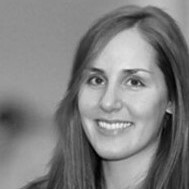 JULIA SMEED is the leader of the Innovation Hub at the University of Toronto. 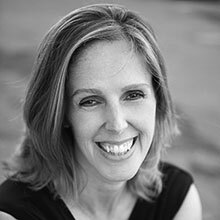 Using design thinking and related methodologies to design with students rather than for them, she works with teams of over 150 students and staff to improve the student experience. The Hub’s empathy-based research and storytelling approach helps the community better understand its diverse student population and sparks inspiration for ideation and prototyping of innovative solutions to complex challenges. 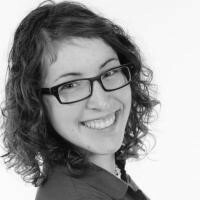 AMANDA STEFANILE is the achievement program coordinator at Lakehead University. The program encourages students to believe in their highest potential and supports their journey into postsecondary education. 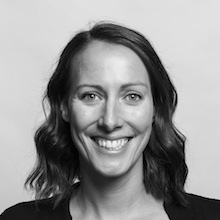 As a Lakehead alumnus, former varsity athlete and trained educator, Amanda values empowering students with education and is passionate about working with families to promote physical activity, academic success and personal growth. SARAH STRACHAN is a teacher with the iGrad program, an educational partnership between the York Region District School Board and 360°kids. iGrad was formed to present homeless youth between the ages of 16 and 26 with an opportunity to earn Ontario high school credits in an online format with teacher support. 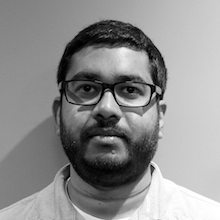 MAHADEO SUKHAI is the head of research and chief accessibility officer for the CNIB. 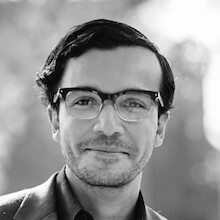 Dr. Sukhai is the principal investigator for and co-author of Creating a Culture of Accessibility in the Sciences, a book based on his groundbreaking work on access to science within higher education. SAM TECLE has been a community worker and advocate for over 15 years. He has worked in both traditional and alternative classrooms and has always advocated for the tearing down of barriers faced by racialized youth in the education system. 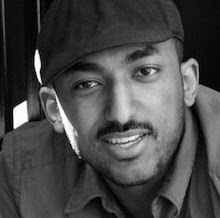 He is currently completing his PhD in sociology at York University and is also co-chair of York’s Black Graduate Students’ Collective. 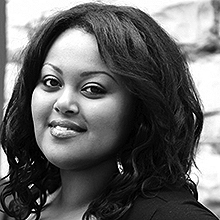 HELEN TEWOLDE is a senior researcher and manager of HEQCO’s Centre for Equitable Access​. She is responsible for designing, developing and advancing HEQCO’s research and policy priorities related to postsecondary access. 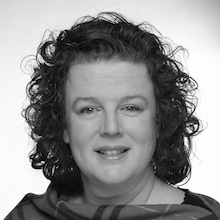 Prior to joining HEQCO, she worked as a manager of program and partnership development at George Brown College and was inaugural project director of Council of Educators of Toronto. 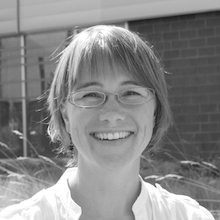 KATE TILLECZEK has been examining the lives of children and youth for over two decades. 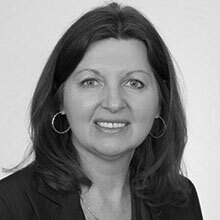 She is the Canada Research Chair (Tier 1) — Youth in Global/Local Contexts; scientific director of the Young Lives Research Lab; and professor in the Faculties of Education and Arts at the University of Prince Edward Island. 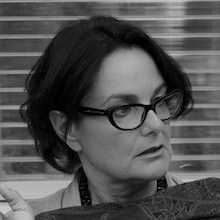 ELIZABETH (DORI) TUNSTALL is dean of the Faculty of Design at the Ontario College of Art and Design University (OCAD U). 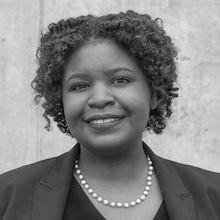 She is the first black dean of a faculty of design. She leads the Cultures-Based Innovation Initiative, which is focused on using old ways of knowing to drive innovation processes that directly benefit communities. 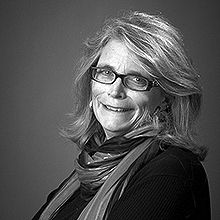 She served as an associate professor of design anthropology and associate dean at Swinburne University in Australia and has also taught at the University of Illinois at Chicago. She holds a PhD in anthropology from Stanford University and a BA from Bryn Mawr College. BRETT VISGER is associate vice chancellor for institutional collaboration and completion at the Ohio Department of Higher Education. In this role, he helps all public postsecondary institutions in Ohio increase the percentage of students completing meaningful postsecondary credentials by developing strategies to improve completion rates and operate more efficiently. VALERIE WALKER leads the Business/Higher Education Roundtable (BHER). Made up of the heads of Canadian companies, universities and colleges, BHER works to support young Canadians as they transition from education to the workplace, strengthen research collaborations, and help Canadian employers as they adapt to the economy of the future. Val consults and advises government officials, academics and private-sector leaders on changing trends in training and skill development, and speaks regularly on innovation and talent. KAREN WALSH is the executive director for the Office to Advance Women Apprentices in Newfoundland and Labrador, a position she has held for more than seven years. Her training is in adult education and she is also a certified life coach. Her training is in adult education and she is also a certified life coach. She holds a diploma in community leadership and Dale Carnegie management training. SARAH WATTS-RYNARD is executive director of the Canadian Apprenticeship Forum, which develops and delivers initiatives in support of Canada’s apprenticeship community. The organization promotes careers in the skilled trades, undertakes research to inform evidence-based apprenticeship policies and programs, and connects stakeholders to share best practices. 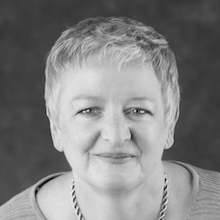 DIANA WICKHAM is a strategy and communications consultant with experience in the public, private and not-for-profit sectors. From 2002 to 2010, she served as executive officer, development, for the Canada Millennium Scholarship Foundation. Since 2010, she has worked with education networks in the US, Europe and Canada. She is currently working with the Rideau Hall Foundation and leaders of Canada’s postsecondary access and success community on the development of a cross-Canada network. BRUCE WINER has both studied and worked at Carleton University for enough years to make him a familiar fixture around the campus. He has an MA (economics) from Carleton and has worked in various capacities on the academic and administrative sides of the university. Living much of his life in Ottawa, Bruce also has some experience in the federal public service with the Department of Public Works. 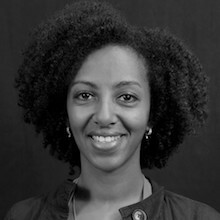 HANNA WOLDEYOHANNES is a research scientist at the Institute for Innovation and Technology Management at Ryerson University. She holds an MBA from the Ted Rogers School of Management at Ryerson and an HBSc from the University of Toronto. She previously worked in the healthcare sector and contributed to several refereed journal publications. 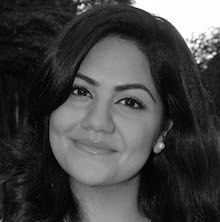 SEHRISH ZEHRA is the co-founder and executive director of Mathstronauts, a non-profit organization that offers middle-school aged children opportunities to engage in STEM, with a specific focus on the development of digital-literacy skills. She is also a teaching professor in the School of Liberal Arts and Science at Humber College.